The five days of the IP Showcase and Theater is expected to attract large crowds at IBC2018. With the whole media industry transitioning to an IP infrastructure, a major destination for attendees to IBC2018 will be five days of the IP Showcase and the IP Showcase Theater hosted for the second year by the Alliance for IP Media Solutions (AIMS) and fellow industry organizations. In fact there will be over 100 pieces of equipment from over 60 vendors that emphasize everything industry vendors have achieved in support of IP standards and specifications. Mike Cronk, chairman of AIMS. The opportunity of witnessing so many different systems working together will be an opportunity for visitors to IBC2018 to get an idea of best of breed in this new era of IP. Mike told me that attendees will see the breadth of product that can operate with SMPTE ST 2110 from many companies and how the NMOS (Networked Media Open Specifications) specifications developed by the AMWA (Advanced Media Workflow Association) such as IS-04 that enables applications to discover networked resources and IS-05, a specification providing an HTTP API for establishing, and removing, flows between senders and receivers, are being becoming very practical with multiple vendors’ control systems. Visitors will also see how SMPTE 2022-7 provides for link-loss and packet-loss protection for enhanced reliability beyond what we came to expect from HD-SDI systems. One of the most eagerly awaited events during the IP Showcase will be the IP Showcase Theater, which will be filled with educational demonstrations. Wes Simpson, president of Telecom Products Consulting is selecting the content for the 30 hours of live presentations during this year’s IP Showcase Theater. 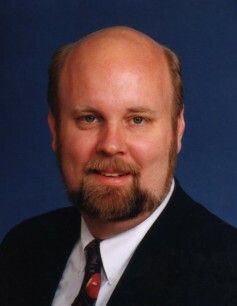 Wes Simpson, president of Telecom Products Consulting. Then in the middle of every day the Theater will present case studies of actual IP implementations, 10 in total, such at a look at the BBC Wale’s new Cardiff Central Square installation, and Telemundo who has gone on air with SMPTE 2110 and stories from the FIFA World Cup broadcasts. There will even be a Super Session on IP test and measurement. The IP Showcase and Theater is open to anyone attending IBC2018. When the official agenda is available, look for it here on The Broadcast Bridge. You can find it in conference room E-106 to the right of Hall 10, on the first level above the ground floor of the RAI.